WOW! You've Got To Look a This Location! Roseville Restaurant w/Bar & Large Outside Patio and Views! 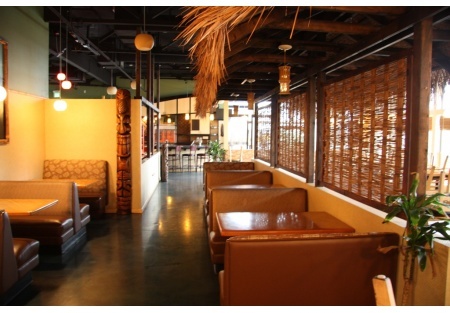 SellingRestaurants presents this AAA location Restaurant and Bar in Roseville California. It is fully equipped and ready to go NOW! If you've been looking in the Roseville area for a great location to open your new restaurant and bar then by all means you've got to look at this HOT location. A neighboring restaurant in the center does nearly $3 million annually. There is no reason why this location can't do at least the same if the concept were changed. This broker suggests a great Family Italian concept or even Chinese Food or a simple comfort food restaurant could do some big numbers at this beautiful location. Just look at the photos and you'll see! This is a million dollar build-out and is complete turn-key. This Establishment is set in one of the higher-end shopping centers in Roseville. The center is well maintained and well visited by the locals. The surrounding area average household income is close to $80,000 with many folks earning well into the six figure incomes. This is a highly educated area with loads of businesses as well as thousands of homes within miles of the restaurant. The restaurant has 4,287 sq/ft and seats up to 145 on the inside. There is a large outside patio that could seat another 50+ with a view overlooking the city of Roseville. The kitchen has a walkin with a double functioning cooler and freezer inside. The hood system is at least 30 feet long and fully stocked with stove, fryers, grill, oven, etc. A prized Placer County liquor license is available for an addition cost. Call broker for details and to view it. MAKE AN OFFER! ALL OFFERS WILL BE HEARD NO MATTER HOW REDICULOUS. This is a Paramount Restaurant Brokers, Inc. DBA SellingRestaurants.com listing. Okay, you want LOCATION! THIS IS IT! You want high personal income area! THIS IS IT! You want a Bar as well as a large outside patio! THIS IS IT! You want a complete turn-key restaurant facility with a bar! THIS IS IT!